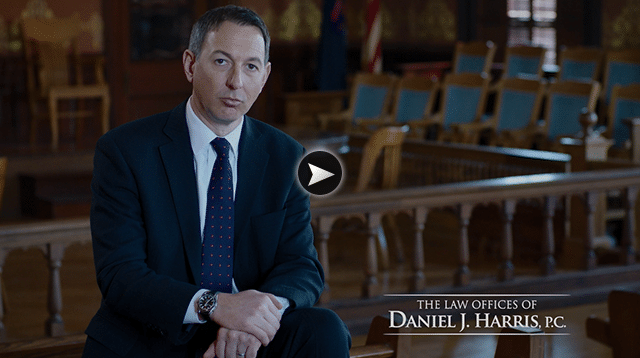 Media | The Law Offices of Daniel J. Harris, P.C. My name is Dan Harris, and I’ve had the privilege to represent injured people, and their families, throughout Michigan, for years. The dramatic effects of your injuries are important to us. Like a father with constant pain, who can’t pick up his child. Or a brain injury victim, who can’t remember their mother’s phone number. These are real people, with real lives, and we know how to present your case, to get real compensation. There is no fee until we win. Call The Law Offices of Daniel Harris. I’m Dan Harris. When an accident happens, and you or someone you love is hurt, the struggle to get can be one of the most difficult times of your life. The law provides for the medical treatment that you need, but the law also provides for an award of money and compensation for all of your pain and suffering. We know your life is affected in more than just physical ways. Let us focus on your recovery, and you focus on healing. There is no fee until we win. Call The Law Offices of Daniel Harris. We all know what happens when a big truck like this, hits a smaller vehicle like yours….devastation. What a lot of people don’t know, is that most commercial trucks are equipped with black boxes that store critical information like breaking and speed. This evidence could be the linchpin to win your case. We know how to take action, and preserve this evidence. The insurance companies immediately call their experts, and so should you. There is no fee until we win. Call The Law Offices of Daniel Harris. I’m Dan Harris. My passion for law dates back to law school. I witnessed a case where justice wasn’t served. I witnessed a case where justice wasn’t served. A woman lost the use of both hands and was left without help, and the responsible party was let off the hook. So I’ve dedicated my career to fighting for people like her, to level the playing field so everyone gets a fair shot. My firm has done just that, winning millions for our clients. Choose Integrity. Choose Experience. Choose Justice. The Law Offices of Daniel J. Harris. I’m Dan Harris. I’ve practiced law in Northern Michigan for nearly 2 decades, where I grew up and now raise my family. Hiring a lawyer is one of the most important decisions you will make. You don’t need a 1-800 lawyer 4 hours away. You need a lawyer who know you, and the unique circumstances of your case. We have one of the strongest legal teams in Michigan and we’re right here. We have won millions for our clients. Choose Integrity. Choose Experience. Choose Justice. Call The Law Offices of Daniel Harris.